The Idaho CDL Manual, also known as the Idaho CDL Handbook, is the training manual you will study in order to pass the written test to obtain your Idaho commercial learner's permit. The commercial learner's permit allows you to drive a tractor trailer as long as you have a licensed CDL holder in the vehicle with you. The Idaho CDL manual also contains various sections of required materials for obtaining your CDL endorsements, or CDL certifications, some of which are required for driving a commercial vehicle, others are optional. 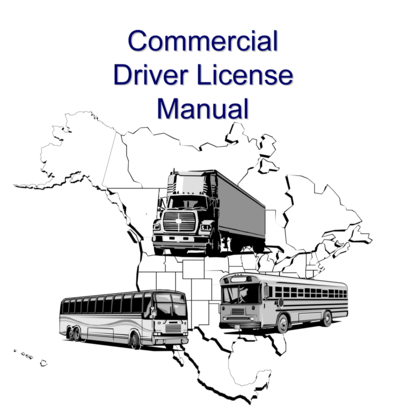 You can also pick up a paper copy of the Idaho CDL manual from your Idaho state's DMV office. Trying to read and memorize the entire Idaho CDL handbook can be a long, boring, difficult process so we've created a much better way of studying the Idaho CDL manual, and it's free! Our High Road Online CDL Training Program is a free program we've built to make it so much easier and more enjoyable to prepare for getting your Idaho CDL permit. The Idaho CDL handbook is built right into our online CDL training program but we've broken it down into small sections with multiple choice questions after each section. Our High Road CDL Training Program will keep track of your score throughout your journey and it will even help you review the areas you're struggling with. As you go through the questions on each page we'll include some review questions from previous pages to help reinforce the materials. 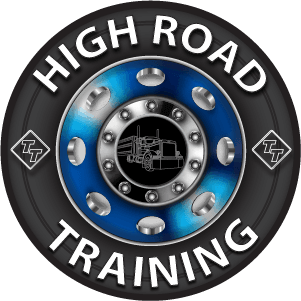 Give our High Road Online CDL Training Program a shot. You'll love it! Class A CDL - Combination vehicles - GCWR of 26,001 or more pounds providing the GVWR of the vehicle being towed is in excess of 10,000 pounds. Class B CDL - Single vehicle with a GVWR of 26,001 or more pounds, or any such vehicle towing another not in excess of 10,000 pounds. Class C - Single vehicle with a GVWR of at least 16,001 pounds but less than 26,001 pounds. Class D CDL - Single vehicle with a GVWR of less than 16,001 pounds. In addition to the vision screening required for all drivers, all CDL applicants are required to pass a written exam, and most are required to pass a skills and driving exam. Our High Road CDL Training Program contains the Idaho CDL manual to study for your Idaho commercial learner's permit. We've broken down the Idaho CDL handbook into small sections with multiple choice questions after each one. Our program will keep track of your score throughout and offer review questions as you go along to help make learning easier and to reinforce the materials. Give it a try! Instead of paying a tuition up front to attend a private truck driving school we recommend you go through truck driving school with a company that offers paid CDL training. You can apply for paid CDL training right here through TruckingTruth! A short one-minute application will be forwarded to all of the companies you qualify for and you will hear from recruiters today! The best part is that there's no obligation. If you're simply interested in learning more about the various paid CDL training programs and what they have to offer then don't hesitate to apply now. It's a great opportunity to weigh your options for CDL training, see if you qualify, and compare the different company programs. To learn more about getting your Idaho commercial learner's permit and CDL license you should explore the website for the Idaho Department Of Transportation. To learn more about getting your Idaho commercial driver's license you can check out the CDL licensing information and requirements for Idaho.